Many people don’t think of nutrition as an important factor in exercise and injury recovery, but to most health and exercise professionals, nutrition can play a vital role in injury recovery and in exercise training. Nutrition is obviously important when you are involved in an exercise program but it's equally important when you are trying to recover from an injury. There has been encouraging research regarding the use of nutrition to enhance performance and to speed up the recovery process when injured. Nutrition can also be a method used to counter the negative impacts of exercise-induced injuries. Energy, protein and other nutrient deficiencies should be avoided during the recovery phase of any injury. After an injury occurs there is an inflammatory response that is initiated. The inflammatory phase can last for up to 4 days post-injury. During the inflammatory phase it is important to attempt to manage inflammation with nutrition. Monounsaturated fats and omega 3 fats inhibit inflammation. It is important to achieve a better balance of omega 6 and omega 3 fatty acids. If you eat fewer omega 6 foods and more omega 3 foods then excessive inflammation is dialed down and collagen production is better supported. 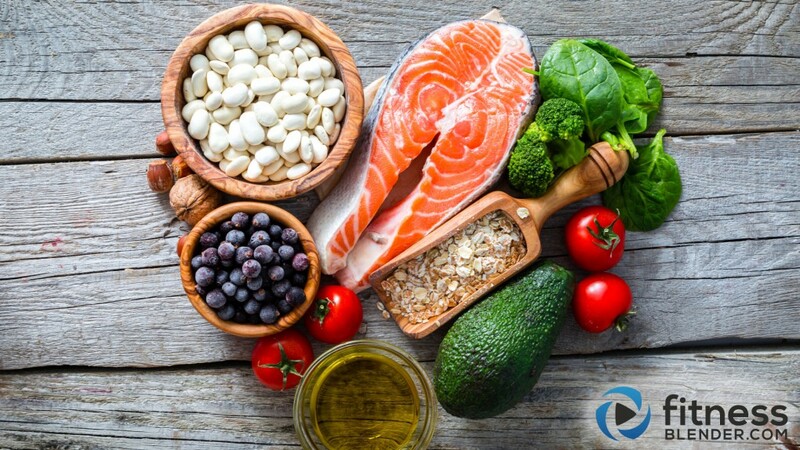 The intake of olive oil, mixed nuts, avocados, flax oil, ground flax and other seeds can help you to reach your goal of eating enough omega 3 fatty acids. You can also use supplements of fish oil to help reach this goal. You may also want to decrease your intake of omega 6 foods which include things like corn oil, sunflower oil, cottonseed oil, soybean oil and other oils. Preliminary evidence also shows that the use of omega-3 fatty acids and creatine can counter the loss of muscle and enhance hypertrophy. During that first stage of recovery, herbs can also help to manage inflammation which can help to reduce the dependence on anti-inflammatory drugs like NSAIDs. Curry powder and turmeric are part of the ginger family and have long been used as an anti-inflammatory agent in wound healing. If you add curry to your diet or take a turmeric supplement it can help to decrease inflammation. Garlic has also been shown to inhibit inflammatory enzymes and enhance healing. Pineapple contains bromelain which is another anti-inflammatory plant extract that is good for digestion and also for inflammation and pain relief. Cocoa, tea and berries can help to manage inflammation through antioxidant activity and influence cell growth and new capillary development during tissue regeneration. The anti-inflammatory response is beneficial to encourage recovery but if this response is too aggressive and is damaging surrounding tissue than we need to manage the excess inflammation; excessive inflammation can be counter-productive for healing and nutrition can be an important factor in this. On the other side, a drastic reduction of inflammation may not be ideal for optimal recovery either, due to the inflammatory response being responsible for the activation of initiating many processes that are crucial for optimal healing. Many exercise-induced injuries in healthy exercisers or athletes would not be severe enough to have the result of uncontrollable inflammation which may mean that nutritional interventions to reduce inflammation may be contra-indicated in these cases. Careful consideration of the appropriate approach in managing inflammation is important for optimal recovery. The next two steps of healing are the proliferation phase which is from 4-21 days where the damaged tissues start to be removed from the injury site and inflammation starts to calm down, and the remodeling phase which lasts from 21 days to 2 years post-injury, which is when scar tissue is degraded and replaced with stronger tissue. When tissue remodeling is taking place the body has extra demands placed upon it. When an injury is healing the metabolic rate can increase. The injury process relies on many metabolic reactions to occur and vitamins and minerals can play a key role. Vitamin A, vitamin C, copper and zinc are main players during this time. Vitamin A can enhance and support early inflammation during injury and can assist in collagen formation and healing. Vitamin C plays an important role in collagen synthesis. Copper can assist in the formation of red blood cells and acts with vitamin C to form elastin and strengthen tissue. Zinc also plays a critical role in tissue regeneration and a deficiency has been associated with poor wound healing. There are other nutrients that are labeled as super recovery nutrients which include arginine, ornithine, glutamine and HMB which can all speed up the healing process. Nutrition during injury is important to reach maximum healing potential. It is recommended that you should eat small meals throughout the day, eat foods that include protein, fruits, vegetables, whole grains, nuts, seeds and oils. You can also include herbs, phytochemicals, vitamins, minerals and super-nutrients to enhance the healing process. If an injury requires immobilization, it is important to include protein in your diet due to the loss of muscle mass that occurs with immobilization. 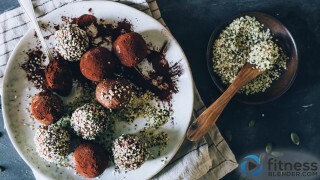 Overall, it is important for anyone that is injured or recovering from surgery to eat a well-balance diet with minimally processed foods and include ingredients that are made from whole foods. The diet composition should be changed as the injury heals and activity pattern changes. The bottom line is that nutrition does in fact matter in the healing process and should be a major consideration when coming up with a treatment regimen when recovering from any injury. Tipton K. Nutritional support for exercise-induced injuries. Sports Med. 2015; 45 (Suppl 1): S93-S104.